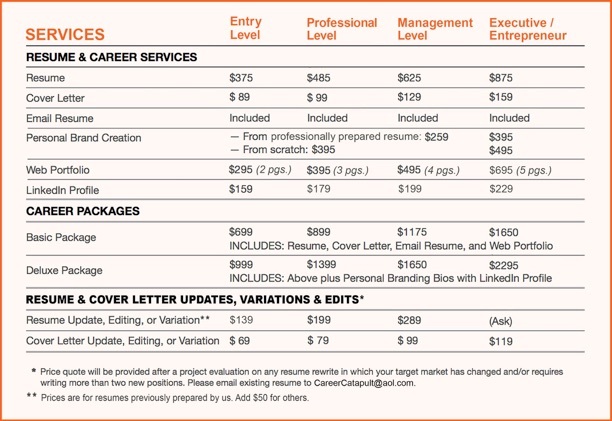 When considering a professional resume writing service, remember that pricing is directly commensurate with the expertise and effort put into your “Me Presentation” and the end result you will receive: lots of interviews, no interviews, or only a few interviews. Want the ability to choose from a number of positions and negotiate up your salary? Or get whatever comes your way—or nothing for quite some time? How do you determine the value of an exemplary resume? Consider the income you may lose over the course of perhaps several months or more. You could stand to lose tens of thousands of dollars! An exemplary resume prepared by an industry leader who has perfected Personal Branding down to a science, receives exorbitantly more interviews and increases your salary potential to boot. Our clients are extremely pleasantly surprised about that after the fact. Want it done right? You need a Nationally Certified Resume Writer (the top credential in the world) who is also a Personal Branding Strategist and Marketer. And in my case, a personal branding pioneer, a published author, and global industry leader as well. You can’t beat that. Take a look at our industry-leading Credentials. 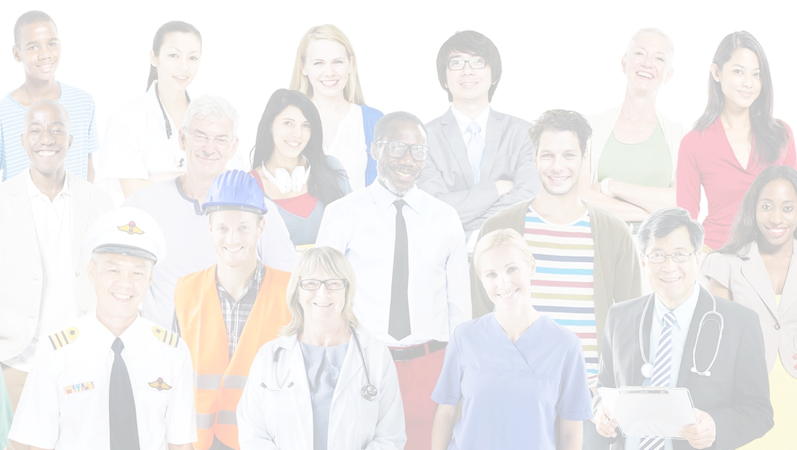 Read our media exposure and listen to our Job Talk Radio Shows about personal branding and resume and cover letter writing (bottom of Home Page). Look at our Resume Samples to see how we include all 100 Resume Components of an Exemplary Resume and compare them to others. Still unsure about paying an industry leader for the value you will receive? You can order a Designer Resume Package at absolutely NO RISK to you. If it doesn’t provide you with interviews, it is FREE, and we will REFUND 100% OF YOUR MONEY. Think about the return on investment you want to receive on your resume, then CONTACT US. NOTE: Although our resume rates have not changed over the past ten years, we Personally Brand your resume at no extra charge and include free graphic design to get your resume noticed before others.